Our Danish friend, Christian Lovenfeldt is a Mugen Honda lover; specifically he’s a Honda fan. Christian enjoys riding, but his real passion is building one-off bikes that belong in a museum. 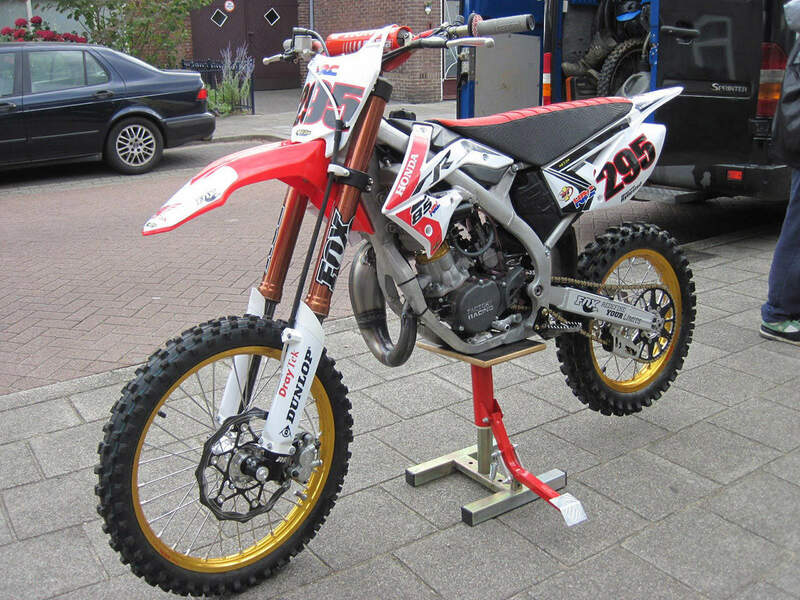 This time around he built an aluminum frame Honda CR85. He used several different motorcycles to construct his mini-cycle creation. Read more below. 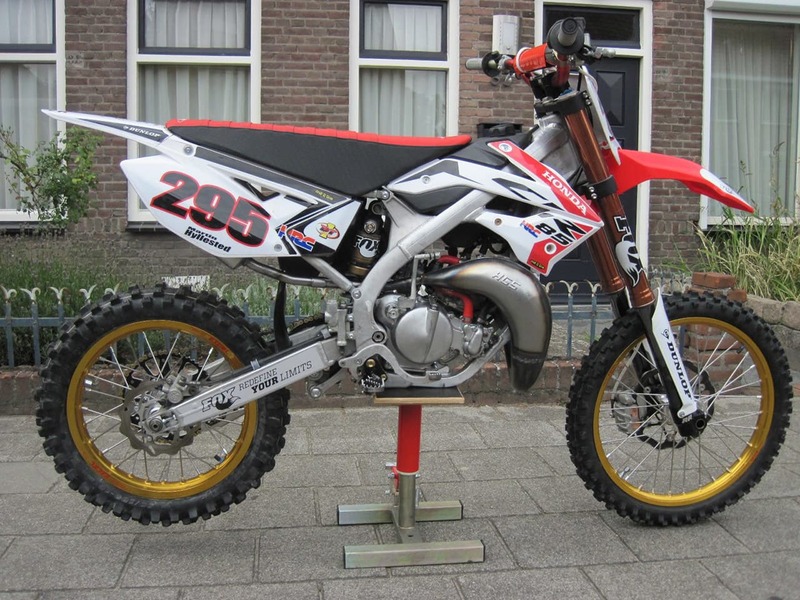 “The whole idea started when I saw a BBR aluminum frame Honda CRF150. I thought that it would look cool with a CR85 engine in, but it turned out that the BBR frame was impossible to find. One day I was offered a 2014 TM 85. It was the first year they made the 85cc with an aluminum frame. The engine was broken, so I took it out and started thinking of ways to shove a Honda CR85 engine inside the chassis. The build was on. “Installing the 2007 CR85 engine in the TM frame was pretty easy. There was room enough for it. I just needed to make new brackets for the engine, ignition, coil, and a few other parts. The tricky part was making the swingarm pivot hole bigger in the engine. I also had to make some spacers to align the chain from the swingarm to the countershaft sprocket on the engine. “From there I decided to pour a bunch of money into the other parts. The front fork tubes are 43mm WP that we coated. There’s a full Fox Shox MX-C cartridge system. Axle clamps are from RR Racing and extend the fork 20mm; triple clamps are RR Racing; front wheel from Haan Wheels, with a 260mm disc and a caliber from a KTM 125SX. RR Racing made an axle clamp that allowed me to use the 125SX caliber. The front fender and front number plate came off a Honda CRF125F, and the triple clamps were made to fit. In the back I had the stock TM wheel replaced with new spokes and a rim by Haan Wheels. The Fox RC-2 rear shock was custom built by Randy from their department in Minnesota. Thanks, Randy!